Luxury rope handled paper carrier bags can be manufactured to pretty much any size. We will advise if there is the option to use a similar sized die cutter if available in order to reduce your costs, but please remember the size is your requirement. These carrier bags can be supplied to a very high quality finish, but equally you can reduce the overall specifications if you are working to a budget. It is advised that all of these bags have a lamination of some kind, altough you can get away with a machine varnish on some prints. This results in a natural finish to the paper. The example shown here however, is gloss laminated. The lamination adds an extra layer of strength to the carrier bag, increasing its life and reuseability and also adding a waterproof characteristic. Please ask for your own bespoke size or nearest size available. Do not forget to ask for extras if required too. These can greatly add a touch of class to the bag to make it unique to your business. Paper weights vary from as low as 120gsm up to 250gsm on either a white or brown paper. 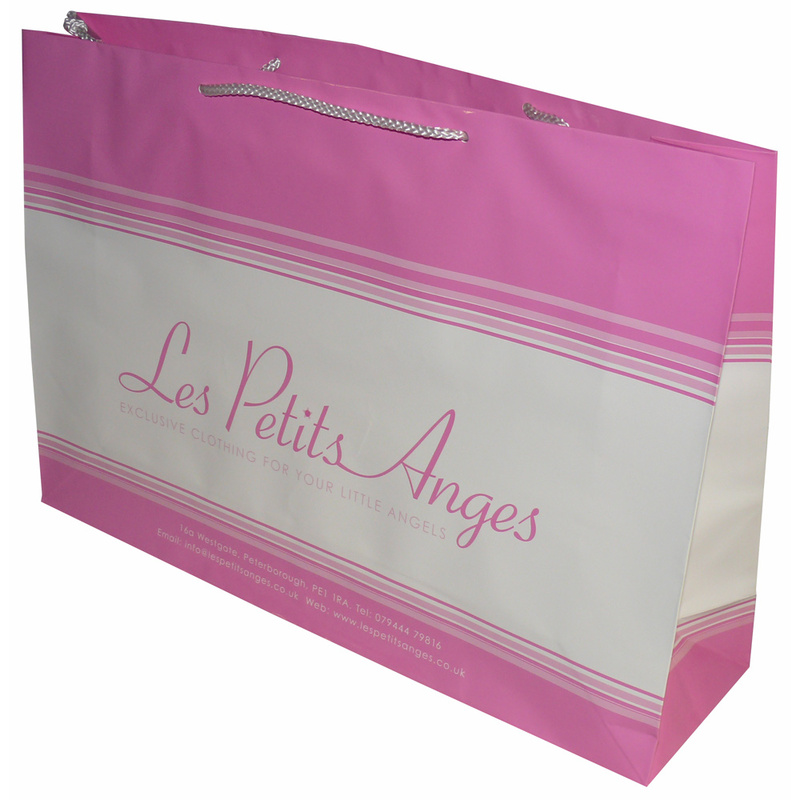 Beckdale offer a design service for many styles of gloss laminated luxury rope handled carrier bags. Our in house employees have helped many shops select unique gloss laminated luxury rope handled carrier bags. To proceed with choose by material or other , connect with our team using your preferred method.